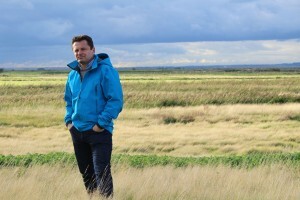 This new two-and-a-half-hour special for ITV pulls on its hiking boots for a countdown of Britain’s favourite walks. 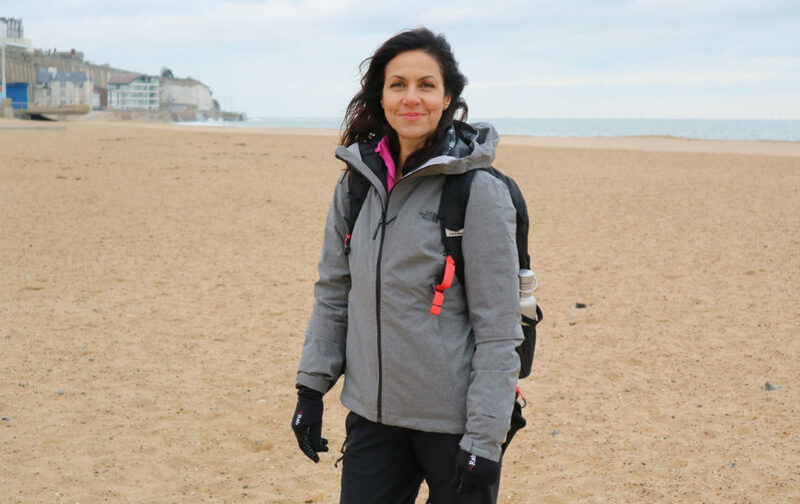 Britain’s Favourite Walks: Top 100, presented by Julia Bradbury (Countryfile) and Ore Oduba (The One Show), showcases the finest rambles, scrambles and ambles across the countryside and through cities to bring viewers the ultimate guide to the British outdoors. Based on the results of the largest survey ever conducted, the top 100 have been voted for by more than 8,000 walking enthusiasts. Famous faces, including Ade Edmondson, Janet Street Porter and Robert Bathurst hit the trails to reveal their own favourites, joined by walking experts, nature aficionados and members of the public with extraordinary stories to provide a vivid insight into the the history of the trails. The programme visits various locations in Kent on two walks, firstly the Ramsgate to Margate Walk featuring beautiful spots such as Kingsgate Bay and Botany Bay. 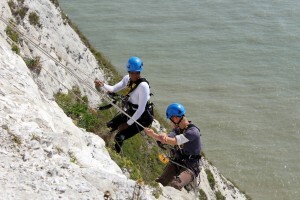 The second walk, the Dover to Deal Walk features the stunning National Trust sites of the stunning White Cliffs of Dover and the charming South Foreland Lighthouse, as well as picturesque St Margarets at Cliffe and Deal. The Kent Coastline is a popular location with TV productions for its dramatic scenery and convenient connections by road to London. Most recently it played a starring role in Sky Atlantic’s The Tunnel: Vengeance 2017 filmed entirely in Kent and Calais. Kingsgate Bay, a small sandy bay surrounded by chalk cliffs that connects at low tide through Whiteness cliff arch to Botany Bay, was featured in Mr Selfridge Series 4 (2016), while both the White Cliffs of Dover and St Margarets Bay featured in Missing Series 1 & 2 (2009-2010). Britain’s Favourite Walks: Top 100 will be broadcast on ITV at 7.30pm on Tuesday 30th January 2018. The Channel: The World’s Busiest Waterway is an access-all-areas programme exploring the everyday workings of the Dover Strait. I addition to exploring the ocean there is also footage from inside the Channel Tunnel, including interviews with those who are responsible for maintaining the system that allows 17 million people to travel across the English Channel every year. In June 2017, in addition to filming at Eurotunnel, the production team filmed with one of the commercial fleets based at Ramsgate Royal Harbour. 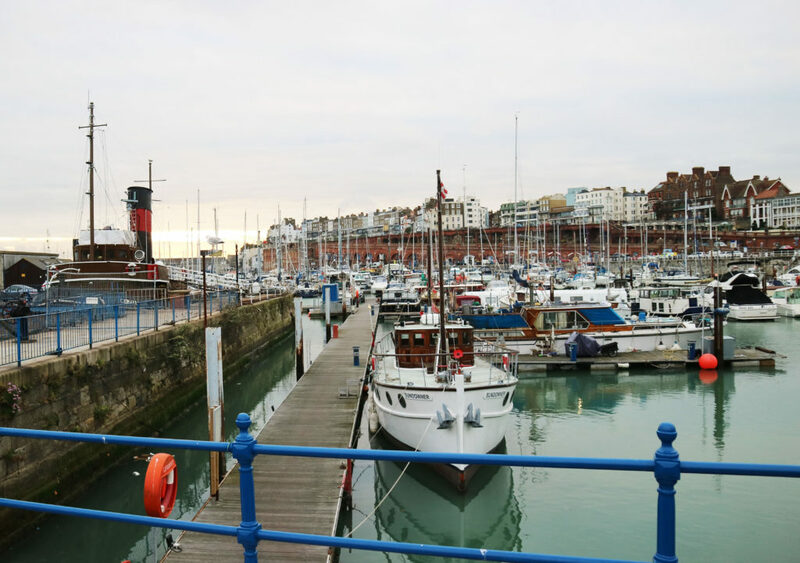 Ramsgate is accredited as the home to England’s only Royal Harbour, developed in 1976. The scenic and charming marina resides 35 miles from the western French coast. Ramsgate has been used for filming by productions such as The Apprentice (2015) and Fit To Rule: How Royal Illness Changed History (2013). The Channel Tunnel is the rail tunnel connecting Folkestone in Kent to Calais in France in just 35 minutes. The Channel Tunnel has been used for filming by productions such as The Tunnel: Sabotage (2016) and Megastructures: Built from Disaster (2009). 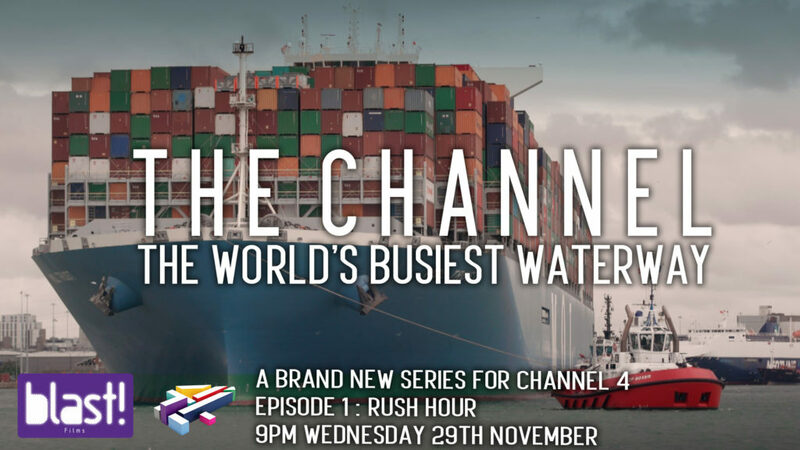 The series starts on Wednesday 29th of November 2017 at 9PM on Channel Four and the fisherman’s episode will be the third instalment of The Channel: The World’s Busiest Waterway, which airs on 13th December 2017 at the same time. 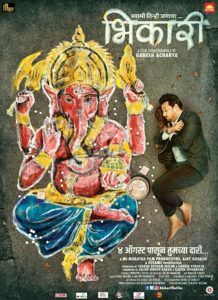 Bhikari follows the story of a rich young man whom having finished his higher education in London, returns to India where his mother hands over the family business to him. However, unfortunate events lead Samrat to face difficult choices in order to save his mother’s life. Both Kingsgate Bay and Botany Bay in Thanet were used as locations as backdrops for dance sequences for the feature. Botany Bay is has stunning white cliffs and chalk stacks and is great for rock pooling. Over the years, Botany Bay has also featured in productions such as Thaandavam (2012), Humans: Series 2 (2016) and True Love (2012). Kingsgate Bay is known for its beautiful sandy beach and sea caves. Kingsgate Bay has featured in films and television series such as Mr Selfridge Series 4 (2016) and Whistle and I’ll Come to You (2010). Bhikari will be released on Amazon Prime for viewing on demand in January 2018. Washed Up is a short film where the stars are the countries of the European Union. 12 people are washed up on a beach with no idea how they got there. Each person has a small piece of machinery on a chain around their neck with their country’s flag painted upon it. Bewildered and confused, they all speak at each other in their own languages. It is only by working together and learning to understand each other, that they are able to use their individual pieces to reconstruct a clockwork box they find on the beach and unlock its secret. The 12 members of the European Union are subsequently ‘United in Diversity’ which is the main motto of E3 Films. Joseph Martin a former student of the University of the Creative Arts was awarded funding from a European filming initiative called E3 Films. The funding is awarded to projects which seek to explore and promote the diversity of Europe’s culture and linguistics. The film, along with all the other shorts that were funded through the scheme, was entered into the Priz Europa in Berlin. Washed Up was located entirely in Thanet’s Botany Bay using local people as extras. Botany Bay is famous for its beautiful sandy beach making it a perfect location for the film. Botany Bay is a sandy bay in the Thanet district of Kent and offers views of chalk stalks and the sea whilst being set against white cliffs. Productions that have been filmed at this location include Humans (2016), The Tunnel: Sabotage (2016) and D-Day: The Last Heroes (2013). Gypo is a 2005 feature length film follows the breakup of a working class family when their teenage daughter befriends a Romany Czech refugee. Gypo told in three revelatory narratives, each from a particular character’s point of view, reveals how the disintegration of an ordinary working class family finally comes to a head when unexpected emotions are unleashed. An innovative, gripping and engaging journey into the heart of a dysfunctional British family on the Kent coast, Gypo reveals how suburban fears and tabloid sensationalism have come to perpetuate the myths surrounding refugees. Jan Dunn (The Calling, Ruby Blue) directs and writes the screenplay to her debut feature length film. Pauline Mclynn (Father Ted, Eastenders, Angela’s Ashes) stars as Helen with a supporting cast including, Chloe Sirene (United 93, The Calling, Ruby Blue), Paul McGann (Alien 3, Withnail & I, Queen and the Damned). The production filmed at a variety of locations in Thanet including East Kent College, Kingsgate Bay, Margate, Pegwell Bay, Port of Ramsgate, Ramsgate, Royal Harbour Hotel and the Wig & Pen pub. The Thanet area is made up of the towns Margate, Ramsgate and Broadstairs, and boasts beautiful sandy beaches and busy vibrant towns. The area has been featured on screen in productions including The Tunnel: Sabotage (2016), The Lady in the Van (2015) and Top Dog Model (2012) . Since their success with GYPO, Elaine Wickham and Jan Dunn, the team behind Medb Films have made a second feature set in East Kent, RUBY BLUE starring Bob Hoskins, as well as a short, MY MOTHER, both currently in post-production. The film was released in November 2005 and is now available for DVD release.